The Argentine ambassador reviewed a guard of honor. 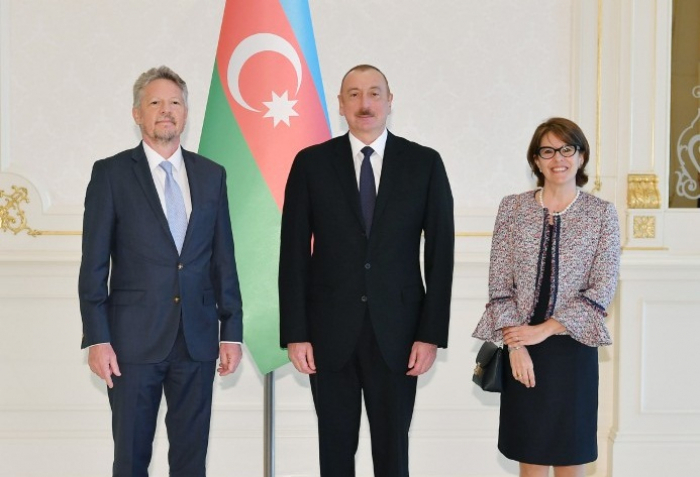 Ambassador Perez Gunella presented his credentials to President Ilham Aliyev. The Azerbaijani president then spoke with the ambassador. 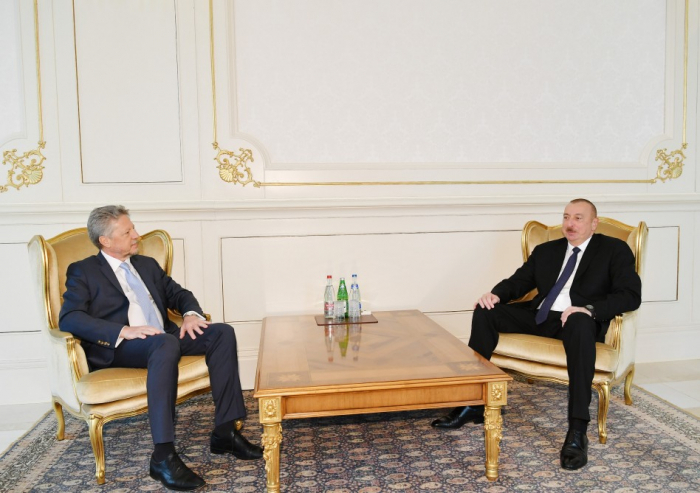 The diplomat, first of all, conveyed the greetings of Argentine President Mauricio Macri to the Azerbaijani leader. President Aliyev hailed the good level of cooperation and partnership between Azerbaijan and Argentina, stressing the importance of mutual visits at various levels in terms of expanding bilateral ties and discussing the prospects of cooperation. 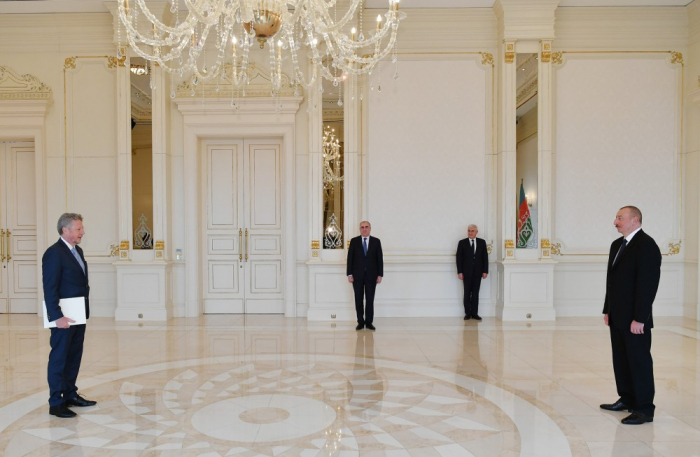 The head of state expressed his confidence that Ambassador Perez Gunella will hold fruitful meetings with representatives of Azerbaijan’s relevant bodies in order to further expand cooperation. President Aliyev said there are very favorable conditions for foreign companies to operate in Azerbaijan and expressed hope that Argentine companies will function in the country. The ambassador pledged to spare no effort in expanding economic cooperation and trade between the two countries. During the meeting the sides also exchanged views on prospects for cooperation in energy, business and agricultural areas. 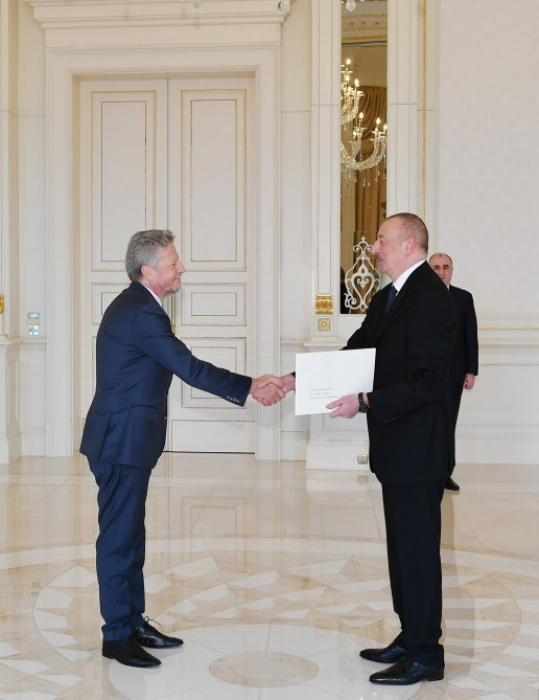 In the end, President Aliyev thanked for Argentine President Mauricio Macri’s greetings and asked the ambassador to convey his greetings to his counterpart.